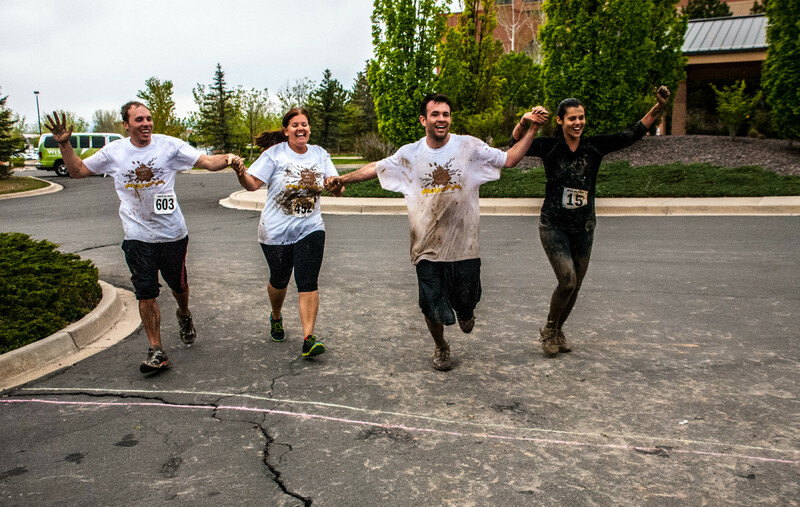 The Hard As Nails Obstacle Mud Race is the main event but not the only part of the experience! You’re in the beautiful city of Westminster Colorado, with the Rocky Mountains rising majestically in the background, and between the cities of Boulder and Denver. This Prepost Race Blog will give you an idea of the “before, after, and the day of the race,” here are some great ideas to make the most of your experience. In early June, Colorado is at its late-spring best. The temperatures are moderate, the snow is melting and feeding the rivers, and the flowers are just starting to bloom, making it an excellent time to book a horseback or whitewater tour with Colorado Wilderness Rides and Guides. Horseback tours will take you to the hills of Golden Colorado, only half an hour southwest of Boulder and Denver, where you’ll explore the foothills of the Rocky Mountains. The Westin Westminster is one of the best hotels in the Boulder-Denver Metro Area. The stylish and modern contemporary atmosphere lends a touch of elegance, class, and ultimate comfort in every room, as well as top-notch service from the staff, coffeehouse in the lobby, full amenities, view of the mountains, and the delicious kitchen at Kachina Southwestern Grill. The concierge would be more than happy to give recommendations for sightseeing in Boulder and Denver, plus book you tours and transportation while you’re enjoying your stay. Plus on Race Day, the starting line is right on your doorstep. Boulder Beer is one of Boulder’s most renown and oldest craft breweries. As an official sponsor of Hard as Nails, their providing the refreshments for the post-race festivities, giving everyone the chance to cool down with their signature, tasty brews. From the hoppy Mojo IPA to the citrusy sweet Hazed and Infused, they have a style for every taste. All participants will be checked for ID and must be 21+ to enjoy. For the kids, we have treats from Izze, a delectable mix of 70% natural fruit juice and sparkling water, which is less calories and sugar than comparable sodas. Kids will be able to cool down and enjoy the party right alongside their parents! Join Us For Colorado Slip and Slide! The day after Hard As Nails Obstacle Mud Race, we’re leaving the slip and slide open for the whole day so you can ride as many times as you like! Rides are $5.00 each and you can add an additional $5.00 to ride an inner tube. The 450-foot waterslide runs down the hillside at a 25-degree angle, while our staff use safe, high-powered hoses to keep it wet all day! Come beat the June heat on June 5th, 2016 as Colorado’s best slip-and-slide takes over City Park!